Most of the forecasting solutions today assumes indefinite supply. They use unconstrained supply or limited static supply inputs provided by suppliers long time back. As the supply chain changes very fast, so is the supply availability. What is the guarantee that your supply chain is ready to take up the upcoming spike in demand. Will it help if the Tier 1 and the extended supply chain Tiers are aware of your expected demand for the next 52 weeks. 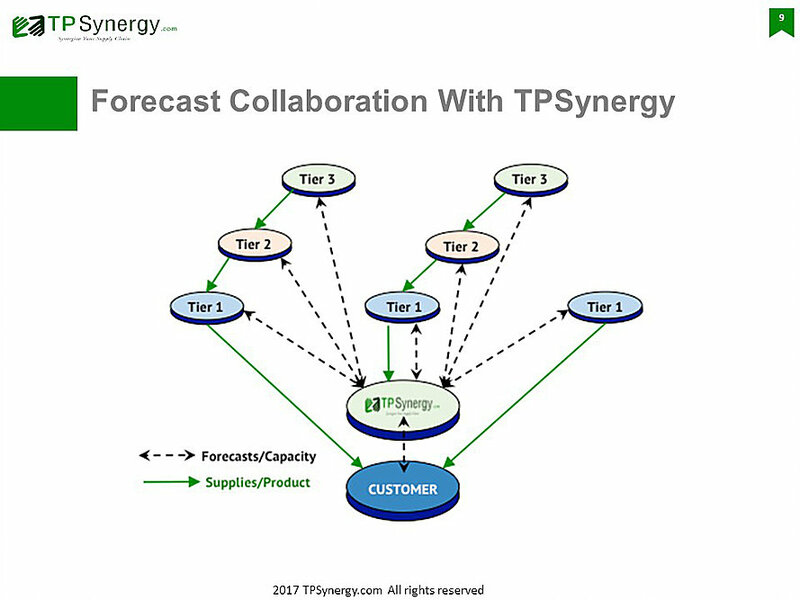 TPSynergy provides Multi Tier Forecast Collaboration (MTFC) platform that enables the entire supply chain to view their likely demand for the weeks to come. It is not only for immediate suppliers (Tier 1) but Supplier’s suppliers (Tier 2). Also suppliers will be able to provide their capacity commits in resonse to the forecast demand. This ensures early view of shortfalls in the supply chain and source for alternative sources.